It is not your fault; it is your responsibility. 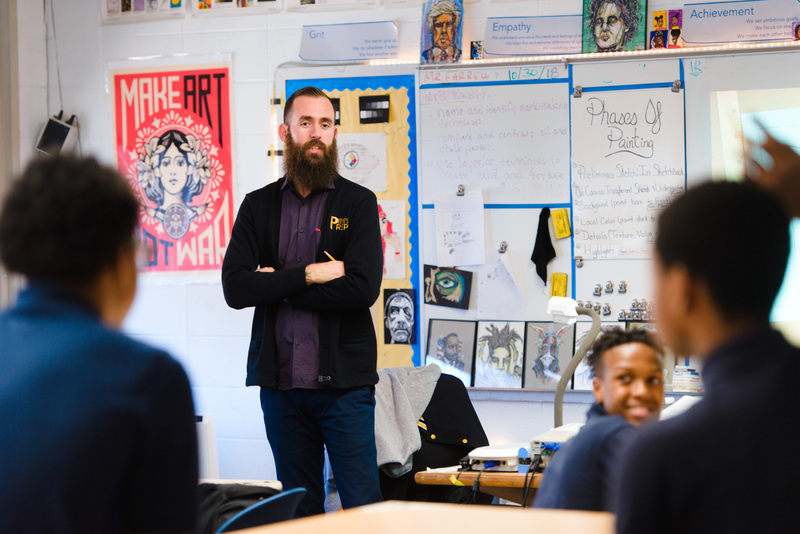 Kevin Farrell is our Founding Art Teacher, an Instructional Leadership Team member, and Council Coach to the Men of SVA (Class of 2020 and Class of 2025). He holds a BA in art history and an MAT in art education from the School of Visual Arts. He is an alumnus of the National Academy of Advanced Teacher Education, where he focused on teacher leadership and instructional mastery. He believes that art can be taught, raw talent can be refined, imagination can be nurtured, and creativity can be guided. Council is a family, and as a People’s Prep council coach you need to live by the mantra “It is not your fault; it is your responsibility” since there will inevitably be times when you will wonder what you did in a previous life to deserve this, and if you are anything like me, you will recall your past life and realize karma is just. And I know that may sound negative, but it is not in the least. Being a council coach is one of the most rewarding aspects of working at People’s Prep, and I am grateful that our school felt I deserved the opportunity to take on such an enormous responsibility. As a council, your collective lives will be filled with ups and downs, old and new members, detentions, honor roll, summer school, college acceptances, and after four lightning-quick years, graduation. After the smoke clears and the dust settles, it will not be about how strong you and your members were to survive, it will be more about the love that brought ten or more random individuals together to form an everlasting bond. My first council, the original Men of SVA, have been out of high school for three years now. They are no longer under my watchful eye, day in and day out, they are college students, men with jobs, and some even with children of their own. Our journey together did not end when I announced their names at graduation and gave each of them a hug as they walked across the stage, if anything it has continued to flourish. We still have a group text and speak quite often. We text each other on holidays, I’m still in contact with their families, and when I look back on our four years together I only think of them fondly. Now, I’d be lying if I said that the path we traveled together was an easy one. 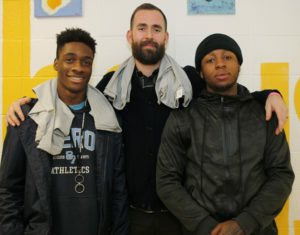 There were many times when certain members of the council were angry with me or wouldn’t speak to me because I gave them demerits, or I called home about a given behavioral or academic concern, but eventually they came to realize that everything I was doing was for a reason, and we made it through, together. Council is not only about student growth, but how we as teachers and mentors must grow as well. I definitely stumbled along the way with the original SVA. I was not always as empathetic and patient as I needed to be, which is why I embraced the chance to be a council coach a second time. Having another council is an opportunity to do right by not only a new group of boys, the Men of SVA 2.0, but as a gentle nod to the men my previous council have become.